Initial introductory half or full day sessions are available along with courses of several days. We use a variety of venues from pools, canals, lakes, reservoirs, rivers and the sea. 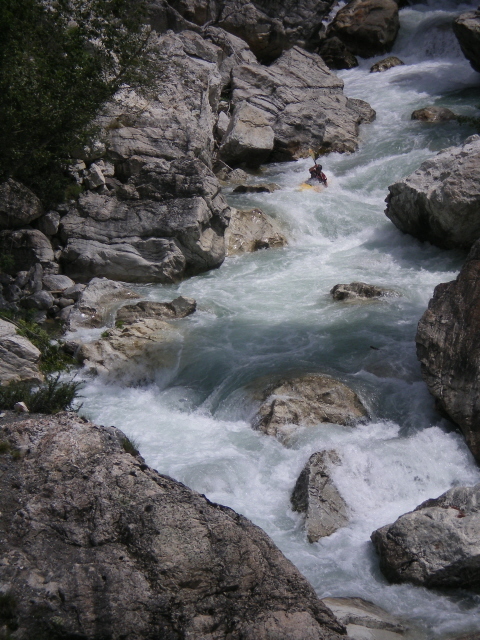 We provide you with the best possible introduction to Kayaking. Our courses offer you all the basic boat handling skills and safety/rescue techniques needed to start you on the path to becoming a confident paddler. For novices looking to increase their skill level and widen their experience these courses are also suitable for those whose wish to gain more confidence. Improvers’ courses are designed to enhance the skill level already achieved and include such things as rolling skills, and moving water techniques. For those looking to take their moving water skills to a higher level, aiming to become proficient on grade 2 water. Water dynamics and basic river safety is taught along with the transference of paddling skills already learnt to a faster water scenario. Primarily based on grade 2-3 water with the more advanced paddlers progressing to grade 4. South Wales has an abundance of good white water rivers such as the Usk, Wye, Taff, Rhondda, Tawe, Teifi – their tributaries and many more. Techniques are taught to a higher level providing you with the skills and knowledge to be a confident and competent paddler. The BCU Star Awards are tests of personal performance and proficiency. We run and assess courses from 1-4 Star. Dates of specific courses for individuals are published on our web site. Closed courses for groups can be arranged. The BCU coaching scheme is the nationally recognised qualification for leading and coaching groups. We run training and assessment for level 1 and level 2 coach, and the canoe safety test. Please contact us for details. to start you on the path to becoming a confident open boater. confidence and learn basic moving water techniques. published on our web site. Closed courses for groups can be arranged. Wales has an abundance of picturesque and spectacular scenery. We have the mountains of the Brecon Beacons and the spectacular Snowdonia National Park. The valleys of the South Wales have their own unique charm, with the land being reclaimed by nature following the demise of local industry. Also being a peninsular our beautiful coast line is well worth exploring. We offer walks for all abilities, whether it’s a gentle stroll, an intermediate challenging route or a full on camping expedition. Navigation is a fundamental part of trekking/hill walking. Basic and advanced navigation courses are available. Beginners will become equipped with the skills necessary to confidently find their way in the day time and deteriorating weather conditions. For the intermediate level we provide instruction which includes night navigation and poor weather conditions. The more advanced skills taught, are of the standard required for the Mountain Leader qualification. We use several permanent orienteering sites and set up course in different areas for our clients. Before setting off in small groups, or as individuals a safety brief is given and instruction of how to read the maps. Participants are require to collect markers set up around a designated area of land. Orienteering can be use as a competitive race, an introduction to map reading and navigation, or for practising skills already learnt. Rock climbing is an exhilarating, challenging and confidence building activity; it is about pushing ones limits by setting and achieving individual goals. We provide a safe and controlled practical environment, where clients are taught the basic skills required to develop into a competent climber. All activity is under the direct supervision of our excellent instructors. You will cover basic rope work, equipment selection, choice of venue, bouldering, top roping and single pitch climbing. Rock climbing is no longer an activity restricted to sunny days and day light hours. We use several indoor climbing facilities to teach both basic and advanced techniques. Indoor sessions are available for those we wish to climb purely on artificial walls, introduction courses, as part of a specialist course, or for simple taster lessons. Climbing outdoors is a completely different experience to an indoor artificial environment. You really appreciate the feeling of exposure, and the natural features of the rock face. Climbing on a natural crag is not solely for the expert. Beginners, novices and intermediates all enjoy participating in the purest form of the sport. Using a rope to descend the rock face, or suspending your self under a bridge and controlling the rate of descent provides an incredibly exhilarating experience. 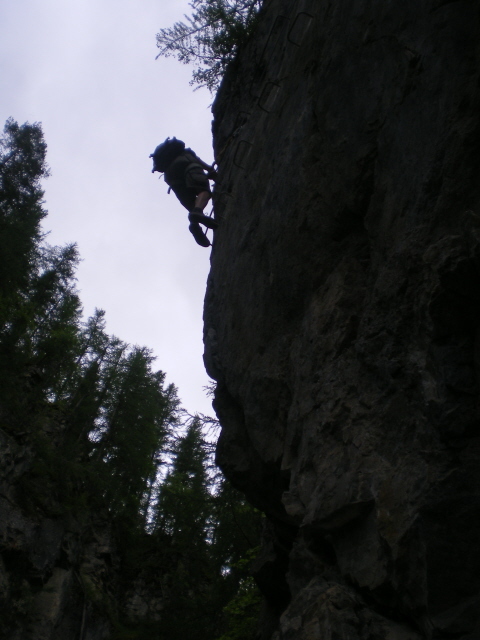 Abseiling can be incorporated into a normally days rock climbing or as a stand alone activity. We use several venues locally of varying heights, for both free fall and walled abseils. Wet and Wild Adventures offers clients the opportunities to experience the thrill of the outdoors across the globe. We organise and run activities in different countries and each trip is tailored to the client group. Also activities courses are run on set dates for individuals who may not be part of a group. weekends but can be stand alone adventures. scramble through narrow gorges this adds up to one exhilarating experience. and over the rocky coastline giving you an experience you will not easily forget. climb, scramble and abseil underground. Lamps provided. contact us directly to discuss requirements. South Wales has many tracks and trails which we access using mountain bikes.